The Confederation of African Football have stripped Cameroon of the 2019 Africa Cup of Nations hosting rights in light of ongoing concerns about the country's security and infrastructure..
Sources had earlier confirmed to ESPN that the final round of inspections in Cameroon - undertaken by CAF and independent auditor Roland Berger - have prompted the conclusion that the Central African nation is not in a position to host the tournament. Cameroon's hosting of the 2019 tournament has been a contentious issue for CAF since African football's governing body opted to expand the tournament to 24 teams - from 16 - in July 2017. 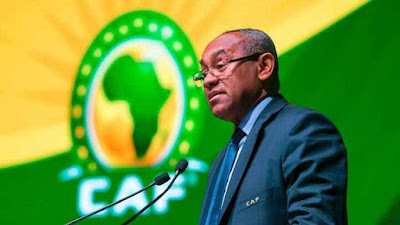 While CAF have not officially confirmed the decision, President Ahmed Ahmed reportedly told assembled journalists that any countries interested in putting themselves forward as potential hosts have 21 days to present their candidacy. "The security Committee and the inspection team will visit Cameroon to assess the situation before a final ruling is made end of November," Ahmed told journalists during a press conference in Sharm El Sheikh, Egypt in September. Speaking to ESPN in August, Ahmed hinted that concerns about security and infrastructure could lead to Cameroon, Africa's reigning champions, being stripped of their hosting rights.